This post originally appeared on Spoon U. With the holidays approaching quickly, we thought we’d put together the best holiday recipes for you to make for Santa. 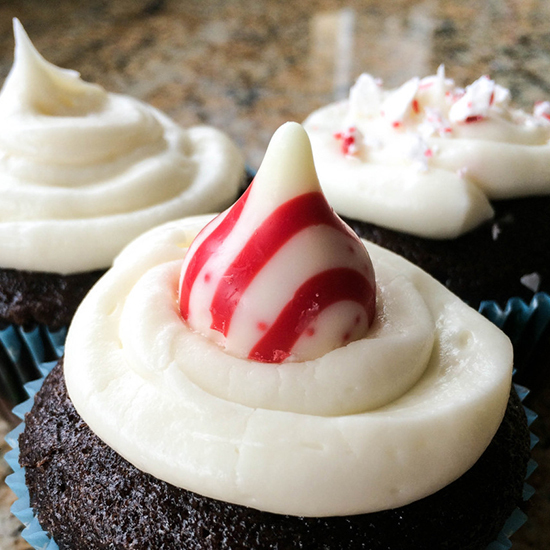 By now, we realize that Santa has to be tired of getting nothing but cookies and milk, especially if he never liked it in the first place If you don’t want to find coal in your stockings this year and want to leave Santa something a little extra sweet, you better be on your way to make these delicious treats. Sweet and savory bites made with only seven ingredients. Plus, who said Santa didn’t like hors d’oeuvres? The easiest, fuss-free fudge you’ve always dreamed of. Even if Santa doesn’t like chocolate, he’ll love this treat. Santa may not be able to put presents under this tree, but he can sure pull apart this cheesy goodness and indulge in it. Perhaps Santa’s a waffle lover after all. He was probably so busy in November that he wasn’t able to get his share of pumpkin spice. Who doesn’t love a little twist on the ever-popular red velvet and classic cheesecake? Santa would love the holiday touch. Each cookie is cute as a button. Maybe this’ll put you on the Nice list? We combined our favorite fall drink and candy together to make the perfect sweet and salty treat for Santa to enjoy as he continues making his rounds. Delicious and portable cheesecake — the perfect on-the-go treat for Santa. See the rest of the list right this way.